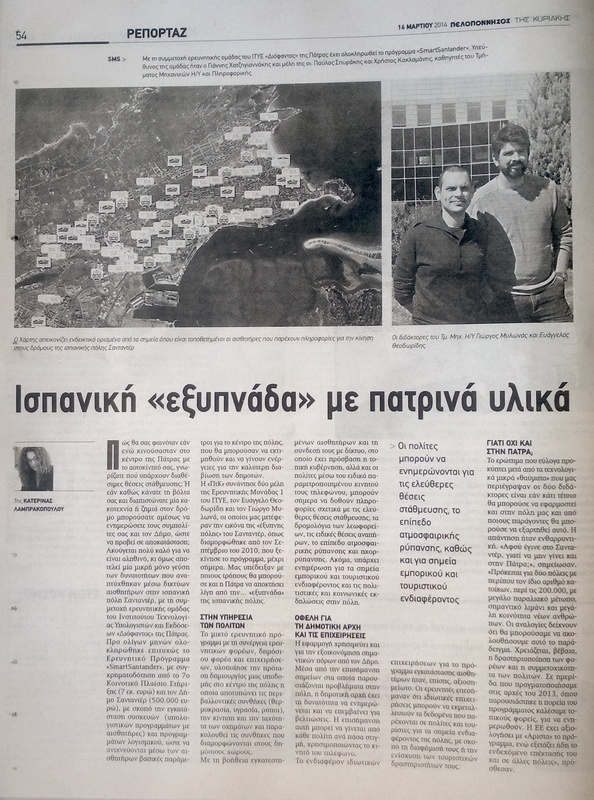 An article about SmartSantander and the involvement of CTI in the project was featured in the "Peloponnisos" newspaper of March 16th, 2014. CTI researchers E. Theodoridis and G. Mylonas were interviewed about the main goals and achievements of the project, and also about the ways that such experience could be applied to the city of Patras, a city sharing many similarities with Santander in terms of size and location. "Peloponnisos" is one of the oldest Greek newspapers and is read daily by over 35.000 readers.